When you take your eyes off of your job as your source and focus on your fellowship and assignment, your provisions will follow. To avoid a let down, never measure your vision against your provision because it will never be enough. The things that God has for you will take you well beyond you natural provision. 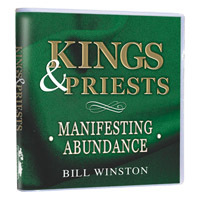 So, come back to principles of sowing and reaping and manifest abundance today.